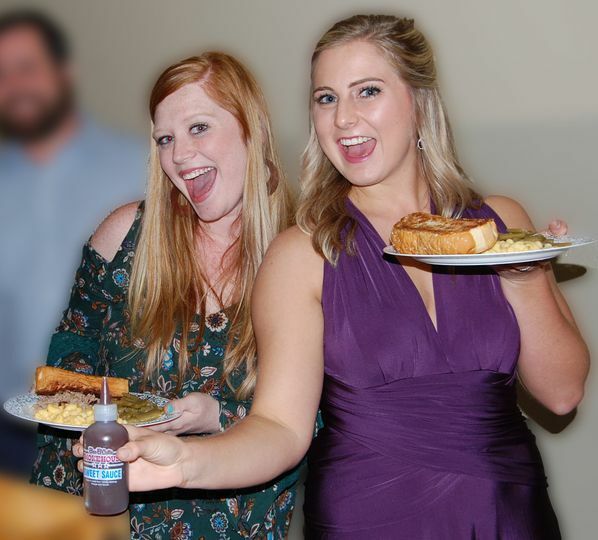 Bar-B-Cutie SmokeHouse Catering is a wedding and event catering company in Brentwood, Tennessee that services Nashville and the surrounding areas. 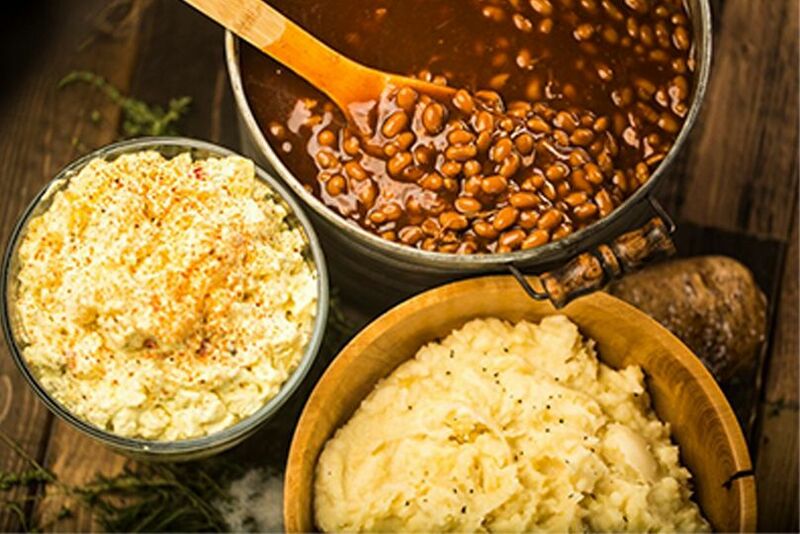 The company has been serving bold flavors with exceptional service since 1950. 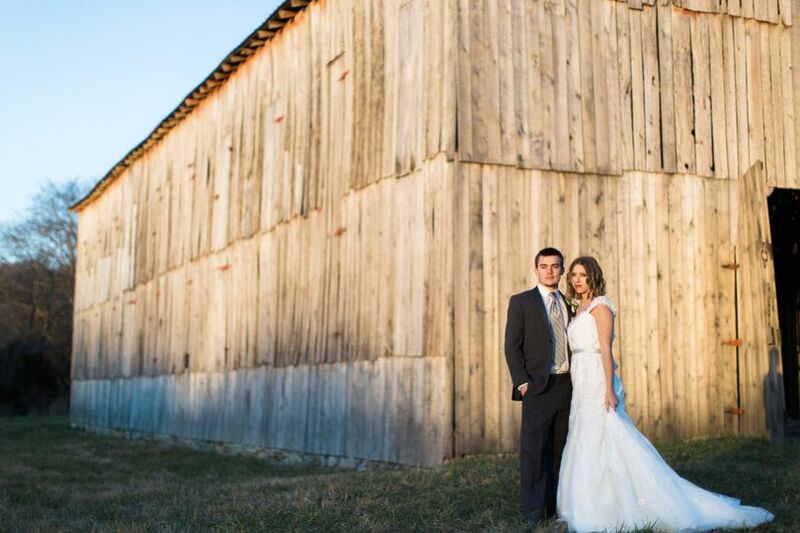 Bar-B-Cutie SmokeHouse blends fresh, delicious wedding cuisine with charming southern hospitality. The company prides themselves on delivering high-quality, fresh foods on-time with friendly service. 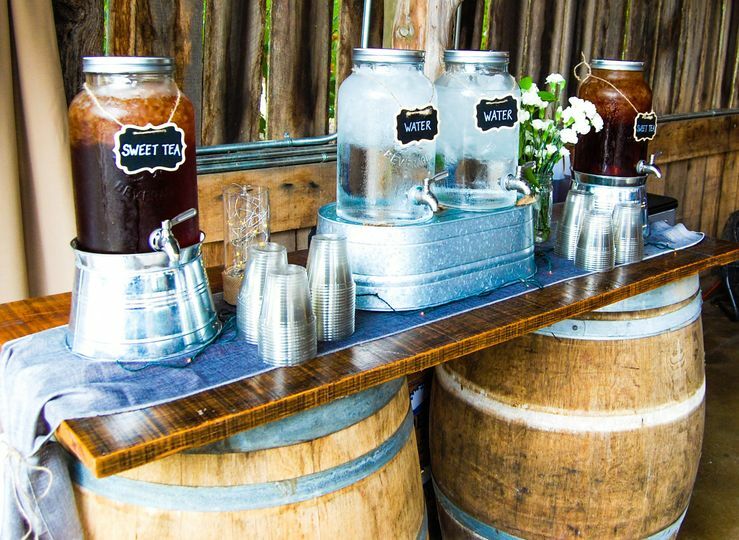 The catering team can provide assistance planning your event in order to deliver the best wedding dining experience for you and your guests. 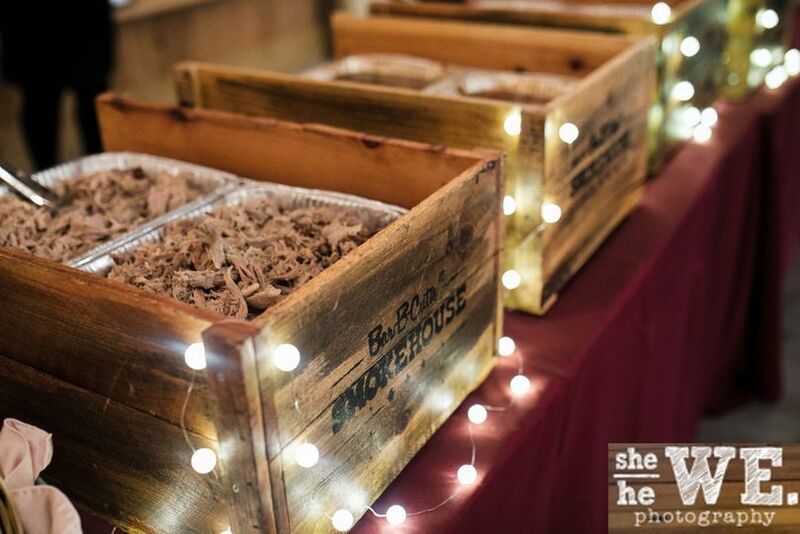 Bar-B-Cutie SmokeHouse catering will deliver to your wedding and provide setup and cleanup. 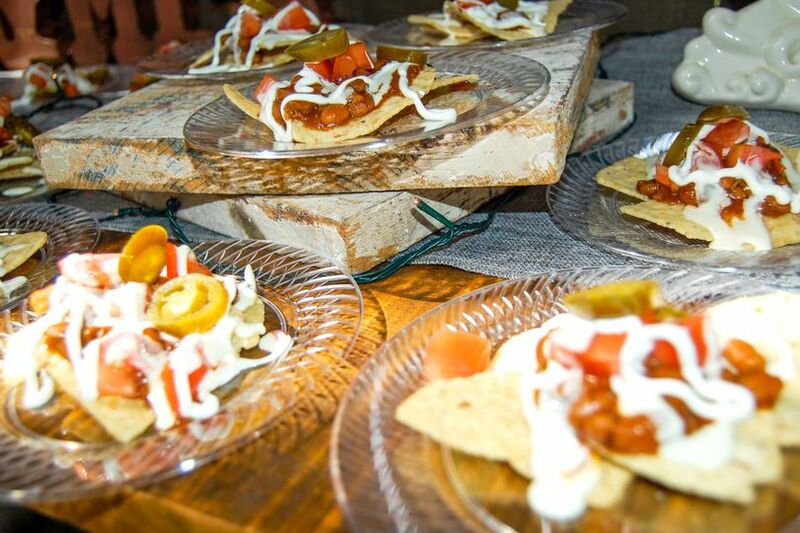 They also provide friendly, well-dressed servers to deliver exceptional service at your event. Serving Mr. & Mrs. First! Here Comes the Cheese Tray! 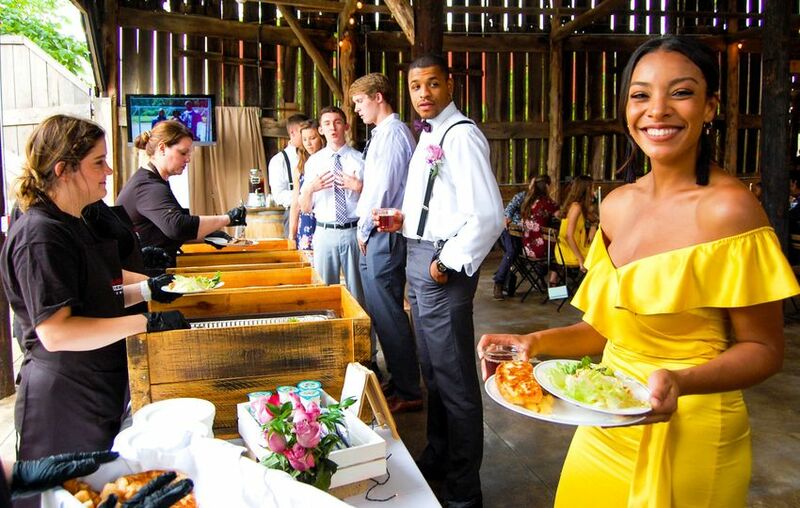 Toast to Mr. & Mrs.
From the Garden to the Tray! This reception meal is fire! Ate my dinner! Time to dance? Melanie from Bar-B-Cutie went above and beyond helping us prepare the buffet dinner plans for our wedding. She responded do her emails and phone very quickly and was so attentive and proactive every time. She even made a couple visits on her own to our wedding venue to make sure she knew how they would be setting up the buffet station at our wedding perfectly. And even during our wedding she was so kind to us and all our guests! She also saved us a sample plate of hors d'oeuvres because we weren't able to have any during the cocktail hour since we were busy taking photos after the ceremony. Again, Melanie went above and beyond and, of course, the food was delicious! Excellent response time, service and food! Highly recommend! Thanks Amy!! Love love love serving the Brentwood Football Team and are sooo thankful we get to!!! Go Bruins!! We cater in Bar B Cutie at least once a week at my job! Our lunch count is large and it is frequently changing. 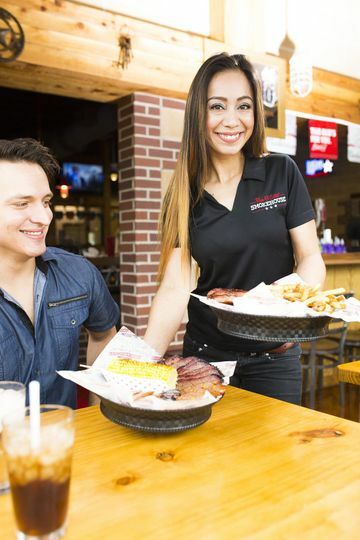 The staff at Bar B Cutie is always flexible, helpful and professional. They manage to find our facility (not an easy task) and they always come a little head of schedule. On top of all of that, the food is amazing!! 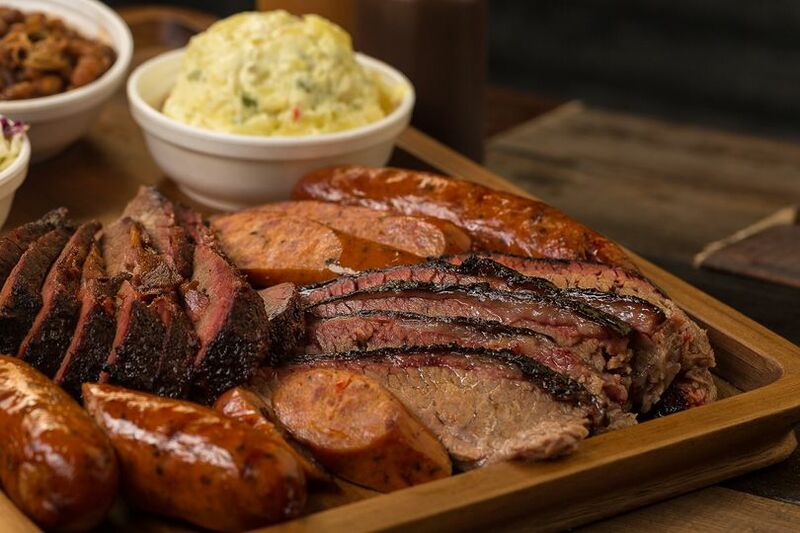 I just moved to the area from Texas and I've had some pretty yummy barbeque in my time. Bar B Cutie is definitely at the top of the list. I'm not engaged yet, but I've always wanted barbeque at my wedding.. Already thinking of Bar B Cutie for it! For only Wedding Wire customers, we are offering 10% off of our miniature, glass sauce bottles (the perfect guest gift for rustic, shabby chic weddings). 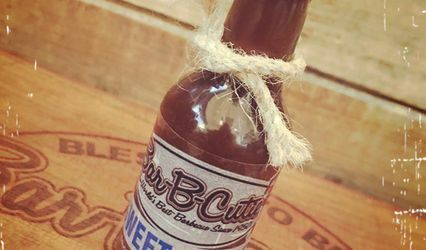 With small, glass bottles filled with Bar-B-Cutie Mild, Hot, Sweet, or Carolina, each of your guests can enjoy taking home a momento of your wedding . 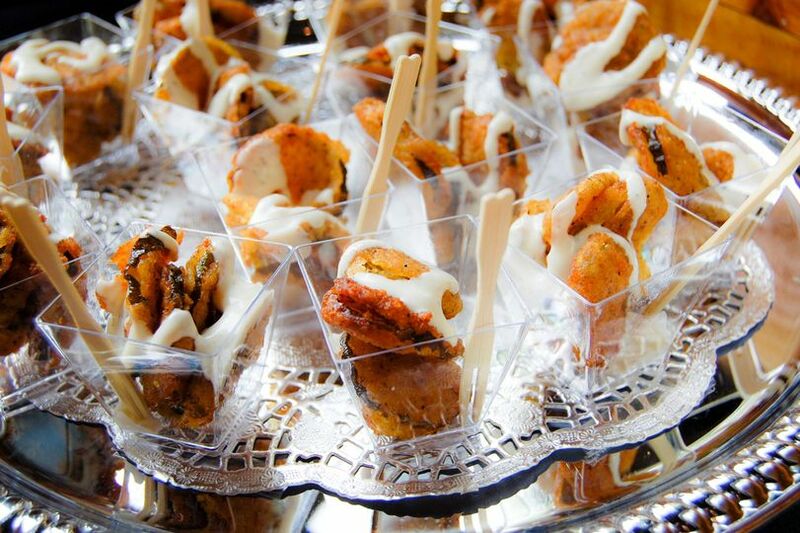 You get to choose your sauce flavor for the perfect wedding favor! I loved working with Bar-B-Cutie. For me having a great catering makes the day easy on everybody. You could not go wrong with Bar-B-Cutie as they go the extra mile. From the owner, to the event to director, to all the other staff, they seem to really care about making an event spectacular, and go the extra mile with great service, great presentation, and most importantly great food :).